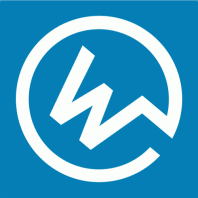 Those of you that have read my ramblings about a Linkedin and CV convergence might like to know that there is a new app for Google Chrome called whoworks.at that is worth looking at and works on the ability to provide Linkedin search capability while browsing, rather than searching within Linkedin itself. Once installed it enables the user to visit a company url showing you people in your network that are employed there, thus allowing you to increase your network or if you’re a recruiter find people of interest. The only downside at the moment is that because of the way the Linkedin api works you may find that not all companies have information that is accessible via the app.